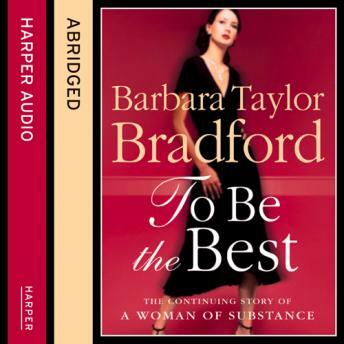 The enthralling sequel to Barbara Taylor Bradford's universally loved novels, A Woman of Substance and Hold The Dream. Set in Yorkshire, Hong Kong and America, this remarkable novel continues the story of an unorthodox and endlessly fascinating family. As the spirit of Emma Harte lives on in her granddaughter, Paula O'Neill, an engrossing drama is played out in the glamorous arena of the wealthy and privileged, underscored by a cut-throat world of jealousy and treachery.